The Environmental Protection Agency announced Thursday that Bonita Peak Mining District Superfund site will be part of a pilot program that seeks to accelerate the cleanup process. The Superfund site made up of mine sites around Silverton contaminating the Animas River has been chosen to be part of a new pilot study that aims to speed up the Environmental Protection Agency’s cleanup process. 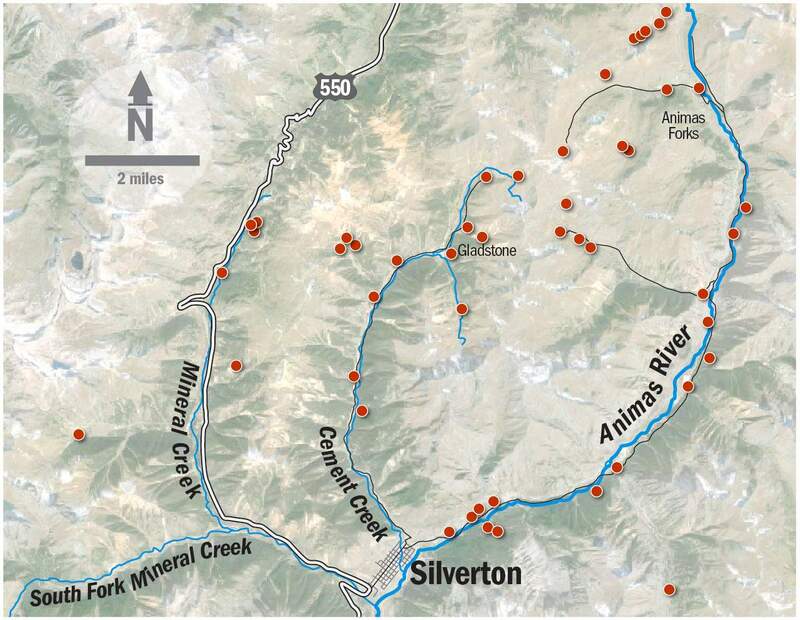 The Bonita Peak Mining District Superfund site, which includes 48 mining-related sites around Silverton, is one of six Superfunds nationwide to be part of the study, referred to as an “adaptive management” strategy. “We are really excited about this for Bonita Peak,” said Christina Progess, Superfund remedial project manager. In May 2017, then-EPA administrator Scott Pruitt formed a task force to think about ways to speed up Superfund cleanups, which in some cases can take decades to complete. A month later, the task force recommended an “adaptive management” strategy that would improve and accelerate the process. Government agencies have used adaptive management since at least the 1970s, but the task force’s move made it formal for EPA. Kate Garufi, an environmental engineer for EPA who is also chairwoman of the adaptive management task workforce, said that some Superfund sites are large and complex, and it can take years to formulate a long-term cleanup plan. “When you look at Superfund, it’s historically been very linear with a site investigation, evaluating alternatives, selecting a decision and implementing it, which can take a very long time,” she said. Adaptive management, however, allows the EPA to target quicker projects year to year while a comprehensive solution is investigated, Garufi said. “We’ll be able to take early actions and see those benefits while we continue to evaluate the entire basin,” she said. The strategy made perfect sense for Bonita Peak, Progess said, which at 48 individual mining sites across the entire headwaters of the Animas River Basin is one of the larger and more complicated Superfund sites in the country. As part of the adaptive management, Bonita Peak will be part of the 12-month study, which will set various goals and engage the local community. “Because we are so early in the investigative process at Bonita Peak, adaptive management will help us set those goals and how to achieve them,” Progess said. The Superfund site around Silverton was declared in fall 2016, a little more than a year after the Gold King Mine spill, in which an EPA-contracted crew caused the long inactive mine to blow out, releasing 3 million gallons of wastewater into the Animas River. Since then, communities affected by the spill have pressed the EPA to initiate cleanup programs at a quicker pace. The Summitville Mine, a former gold mine in Rio Grande County, for instance, was listed in May 1994 and is still an active Superfund site. Rebecca Thomas, project manager for Bonita Peak, said adaptive management is one of the ways the agency is making good on that promise. “It’s such a practical approach for looking at a large area mining district, rather than trying to understand everything there is to know about every mine before doing some work,” Thomas said. 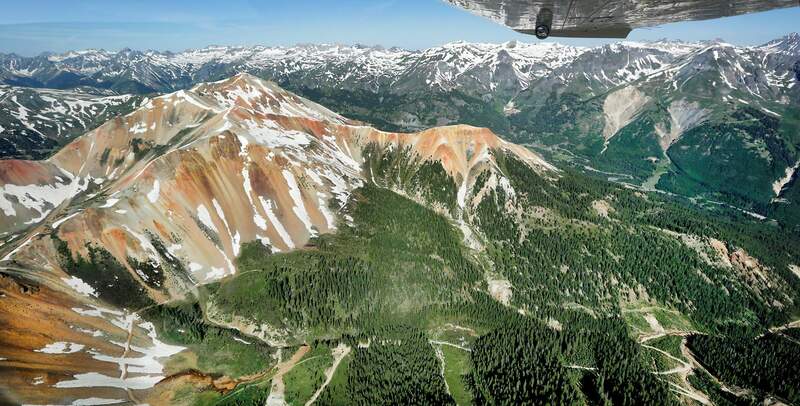 In June 2018, the EPA released a “quick action” plan for cleanup work at 26 mining sites over the next five years to be conducted while the agency comes up with a more long-term, comprehensive strategy to address mine pollution around Silverton. The plan met resistance from local groups and individuals who say the plan fails to first quantify the benefits and goals that would result from the action plan, which would cost millions of dollars to clean up sites considered smaller contributors of pollution. Thomas said the adaptive management will help refine that plan. She said a final decision, called an interim Record of Decision, could be issued within the next month or so. On Wednesday, Thomas also addressed the concern that the partial government shutdown, which lasted 35 days, would cause the EPA to lose a summer season’s worth of work at Bonita Peak.